We love Customized Pouches! These are pouches that are one of a kind to show off your sweet pumper's personal style! - Use your own fabric. Have a favorite fabric of your own? Send it to me to sew up a pouch or any product I offer or can create for you. - Use any fabric available on the website to create your own combination and design. - Request a fabric. There are endless fabric choices in the market. I am happy to work with you and find what you are looking for. Customers in the past have asked for a certain animal, hobby, popular character, sports team and countless more. Please Contact me to request a desired fabric and let's discuss your pouch design in detail. 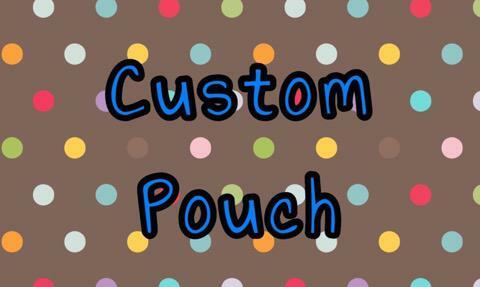 After the consultation, place your order here for your Custom Made pouch. All orders received will be made according to the options and measurements given below. Thank you! Pump Worn upside down: N/AYes!